This is 8 months after non incision double eyelid surgery and magic epicanthoplasty. 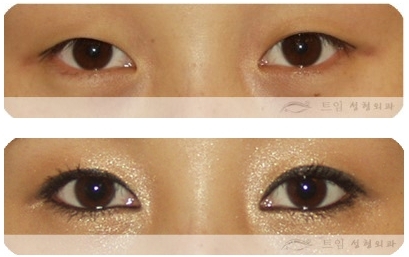 The double eyelids were done in non incision to appear natural. After the surgery, the eye lines are organized making the eye liner make up look neat. The slope of rear eyes are reduced so the bottom eye lines look horizontal. Overall, the eye line is now expanded naturally making the eyes brighter. The basic effect of epicanthoplasty and double eyelid surgery is to expose the eye line covered beneath the eyelids so it will be a big support for the eye liner make up.